Happy the Man was a band name that cropped up from time to time, and I became curious. After having familiarized myself with the primary and many of the secondary big name bands of 70's prog, I turned toward the tertiary ranks: the bands that struggled to find a little success and then disappeared until the age of the Internet. As with other 70's American prog bands that I have heard, Happy the Man sound deeply inspired by their British seniors, and in this case I feel it is as though Alan Parsons and Bill Bruford worked together to create much of the music on this album. The production on the reissue I have is very clean and all instruments can be heard clearly. The sound, whether light and pretty or bold and assertive, is as beautifully mixed as on an Alan Parsons Project album, and much better than the mixing of UK's debut and louder than the mixing of Bruford's "One of a Kind". So you can expect a remarkably clear mix with music that combines the drama of Alan Parsons Project with the jazz/rock fusion of Bruford or UK. The album opens with a rather stunning instrumental in a strong Alan Parsons likeness, "Service with a Smile". There's an iterated synthesizer over which dramatic guitar and percussion create a dynamic piece of music. Perhaps here it would be good to mention that all but one of the tracks are instrumentals. Also, though synthesizers comprise much of the bedrock of the musical landscape, the soft string synth sound is rarely used and instead these almost plucked sounds that emulate guitars, and other piano/organ type instruments are employed, giving the music more texture. 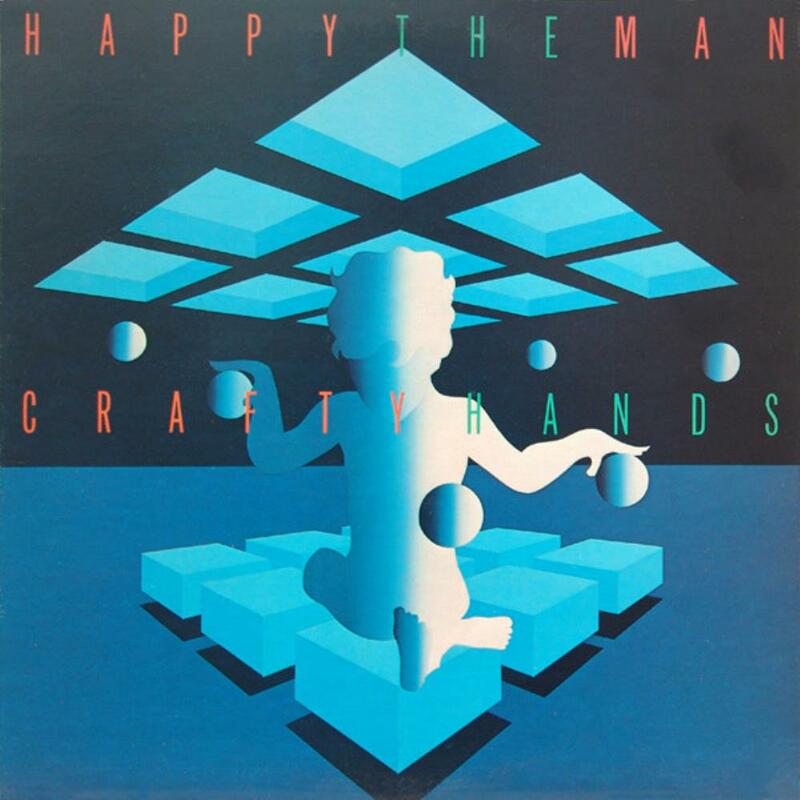 The music of "Crafty Hands" can be divided into two basic categories from here on: soft and dramatic. The softer tracks include "Morning Sun", which does indeed encourage images of dawn to appear in one's mind, the opening of "Wind Up Doll Day", "Open Book", which includes a beautiful acoustic guitar and woodwind passage reminiscent of Gryphon, and the closing track "The Moon, I Sing (Nossuri)". These are often very soothing and serene pieces and depend largely on subtle percussion, very little electric guitar, and two or three synthesizers with soft and chime-like sounds. The more dramatic tracks on the album after "Service with a Smile" are "Steaming Pipes" and "I Forgot to Push It" which both have a very Canterbury-like jaunty and off-kilter jazz rock approach. "Ibby It Is" also includes more adventurous jazz rock. In these tracks you can find some aggressive guitar solos and some spectacular percussion that works to accentuate the drama of the music and not just provide a rhythm with fills. I personally prefer the upbeat pieces, though "Open Book" is one of my top three picks. "Wind Up Doll day", being the only actual song here, deserves mention. Honestly, the vocals are not quite to my taste though they are not bad. The lyric "Splashing across the street into the box / My box, your box" somehow irks me by its delivery. But the music and the rest of the song are very good, actually getting a little heavy with distorted guitar chords and a steady, heavy rhythm. At times I am reminded of late 70's Genesis when they could become a little heavy, too. This is not the style of music I usually choose but this album is very well done and it is a welcome addition to my collection. If I have any criticism at all it would be that the music is so well executed and recorded and mixed that it seems flawless. And this might be the flaw. Everything is rehearsed to polished perfection, so much that it could almost be called sterile if it were not for the allure of the music itself. Also, the music for the most part follows two formats. The only real break we have is the opening track, the heavier Genesis-like part of "Wind Up Doll Day" and the Gryphon-esque part of "Open Book". For just over 40 minutes of music this might not be too bad; however, I find that by the time the last track comes on, I feel I've already heard everything there is to offer on this record. I give it a solid four stars for the remarkable compositions, playing, and overall recording quality and listening experience.